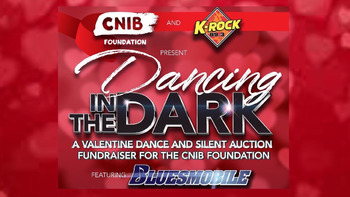 CNIB’s Dancing In The Dark with BLUESMOBILE! 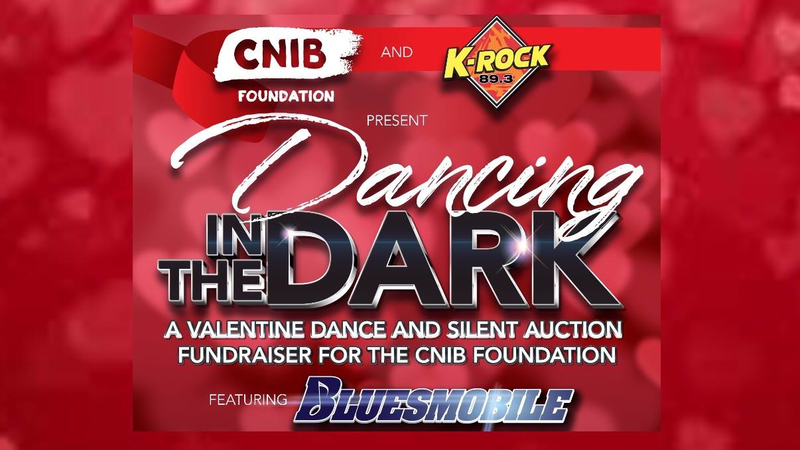 A Valentine dance and silent auction fundraiser in support of the CNIB Foundation. This fundraising event for The Canadian National Institute for the Blind is the first of its kind. Don’t worry, blindfolds are not necessary for this dance and silent auction, but dancing shoes are a must! The CNIB is an important organization for BLUESMOBILE to support, especially for bandleader/vocalist/bassist Bernie Zinck, who suffers from a blinding eye condition called Retinitis Pigmentosa (RP), which is slowly taking away his sight. The CNIB has helped Bernie with cane/mobility training, and most recently by providing a peer support group for blind or visually impaired parents. Bernie wanted to give back, and using a familiar namesake as other CNIB fundraising events, Dancing In The Dark was born.